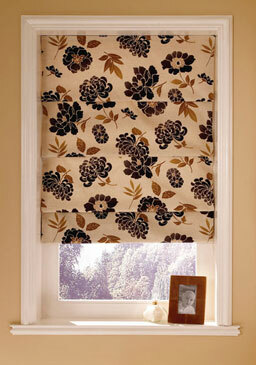 Roman blinds are one of the most traditional types of blind that have now become the modern alternative to curtains, and for good reason. They are able to offer the feel of sumptuous textiles that traditional soft furnishing can, but with all the versatility of a blind. The choice of colours, patterns and textures also makes roman blinds a fantastic choice to give a real bespoke feel to your home. You can also choose from a range of braids, trims, eyelets and beads to really make your blinds incredibly stylish and completely individual. Many of the fabrics can be easily cleaned, be given anti moisture or flame retardant treatments, making them not only an attractive choice but a practical one too. If you would like to be inspired by our beautiful range of roman blinds why not call into our showroom and take a look around.